Cara Maksimow left her job of 13 years as a pharmaceutical sales manager because of a company restructuring about three years ago. 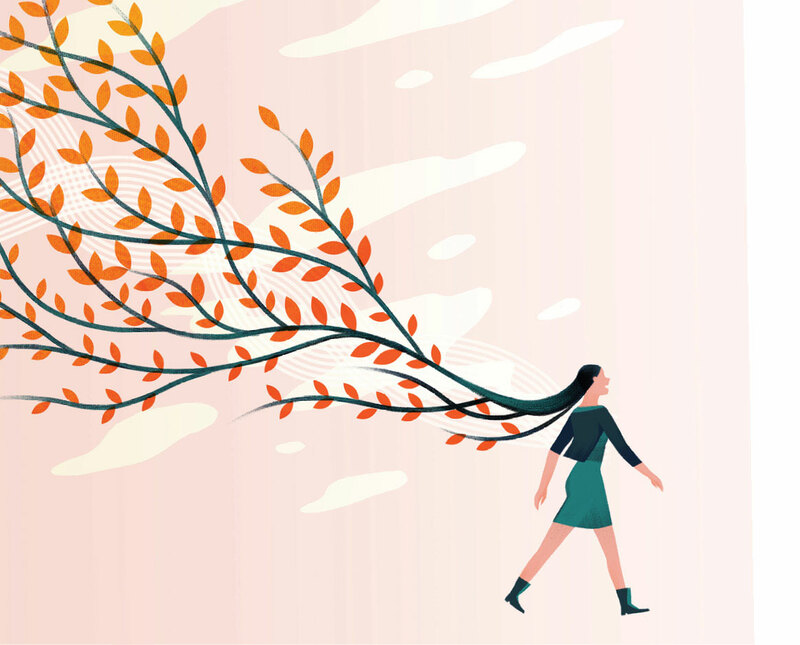 She dreamed of returning to her previous career as a therapist, but the nervousness she felt about opening up her own practice overwhelmed her. She was still a licensed social worker, but she hadn’t seen patients in over a decade. A fast-talker who bounces from thought to thought with contagious enthusiasm, the New Jersey native explains she was eager for the chance to own her own business, but her mind filled with thoughts of failure: What if she opened a private practice and nobody hired her? What if she was unsuccessful and everyone knew? Eventually she decided to apply for a new job in pharmaceutical sales because that felt more comfortable than taking a leap of faith. Her work would be easy and familiar. Around the same time, she hired a life coach who encouraged her to move forward with her business instead. Maksimow is not alone in her incessant second-guessing. She was experiencing what a lot of women have on a daily basis: low confidence, despite above-average abilities and skills. 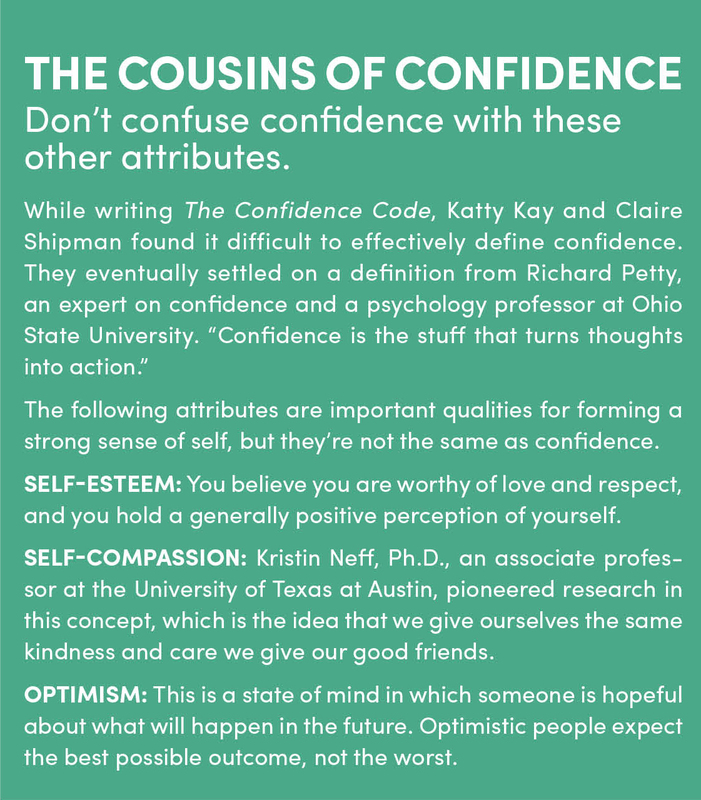 Katty Kay, the Washington, D.C., anchor for BBC World News America, and Claire Shipman, an ABC News and Good Morning America correspondent, wrote the seminal book on this topic, The Confidence Code. It explores a phenomenon in our society: Men are almost always more confident than women, even when the women are equally or more talented. Men are almost always more confident than women, even when the women are equally or more talented. The implications of this confidence gap are grave. Some research shows having higher levels of confidence leads people to be more successful in life and in work. In fact, Kay and Shipman concluded confidence is more important than competence. Because women are more likely to be perfectionists and avoid risk-taking, they’re typically less confident, which means they’re less likely to speak up in meetings, ask for raises or negotiate salaries. Many women fall behind where they could be excelling. While they second-guess the tone of their boss’s offhand comment or dwell on whether they should suggest a bold idea in a meeting, their male counterparts brush off potentially negative comments, confidently speak up and eventually pass them by. A now-famous study of this confidence gap between men and women was reported in The McKinsey Quarterly in 2008. The authors referred to Hewlett Packard internal research that found men typically applied for promotions when they met 60 percent of the required qualifications, while women only applied when they met 100 percent of them. Despite being just as qualified as the men, the women assumed they wouldn’t be hired unless they met all of the qualifications, so they didn’t apply. “So essentially, women feel confident when we are perfect. Or practically perfect,” Kay and Shipman write in The Confidence Code. “Underqualified and underprepared men don’t think twice about leaning in. Overqualified and over-prepared, too many women still hold back.” Many women feel they simply don’t deserve to be at the top, or they’re afraid their confidence will come across as aggressive or controlling. And this issue isn’t exclusive to women—though that’s where it’s most obvious. Plenty of men know what it’s like to see a co-worker with more confidence than intelligence rise through the ranks—seemingly on the backs of more diligent, more qualified peers. Another study supporting this notion that confidence matters more than competence comes from Cameron Anderson, a professor of organizational behavior at the University of California, Berkeley. He conducted a study in which he quizzed around 250 students. The students were given a list of names and historical events and asked to mark the ones they identified. There was a twist, though. Some of the names and events were completely fabricated, such as Galileo Lovano and Murphy’s Last Ride. He then discovered, by assessing his students over the course of the semester, that the students who chose the most fake names and acted as if they knew them were regarded by their peers as being the most respected and admired. Reverence and admiration are qualities we’d all like to possess. But it goes below the surface: Lack of confidence has real, tangible consequences, too. Linda Babcock is an economics professor at Carnegie Mellon University in Pittsburgh and the author of Women Don’t Ask. She conducted studies with some of her business students, examining how confidence relates to negotiation. She found men negotiate their salaries four times as frequently as women do. When women do negotiate, they ask for 30 percent less than their male counterparts. 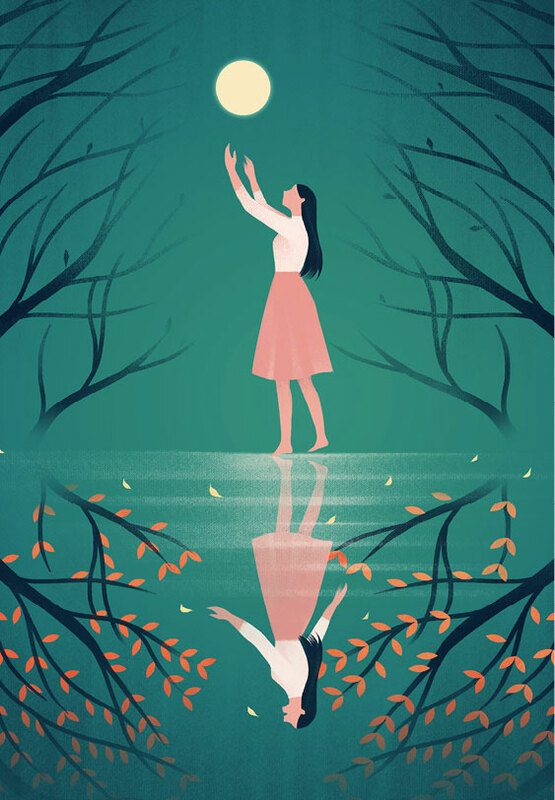 Over the course of her career as a therapist, Maksimow has worked with numerous patients who struggled with perfectionism. She says one of the biggest dangers in this type of compartmentalized thinking is that it creates a perception that everything is black and white—if something isn’t completely flawless, perfectionists see it as a failure. Shipman says she was surprised to discover there are subtle differences in the brains of men and women. The small differences in structure and chemistry could be responsible for different types of thoughts and behaviors in general, and that could have an effect on confidence levels. Some studies suggest women activate their amygdala, the area in the brain responsible for fear, more often than men. Another study suggests high levels of testosterone correlate with more risk-taking. 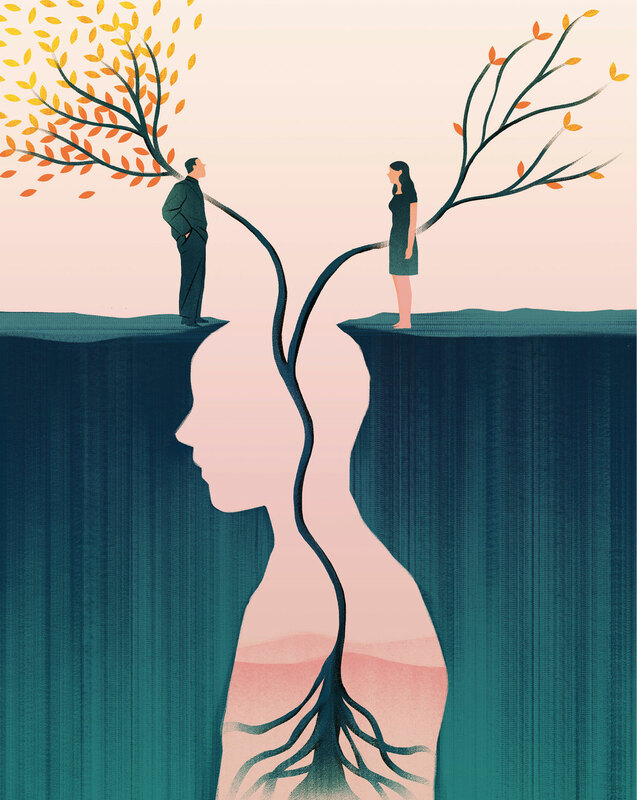 Women are more likely to be diagnosed with psychological disorders such as anxiety and depression, which often affect confidence, according to Gail Saltz, M.D., a professor of psychiatry at the Weill-Cornell Medical College and author of the forthcoming The Power of Different: The Link Between Disorder and Genius. Saltz has experienced the confidence gap herself. 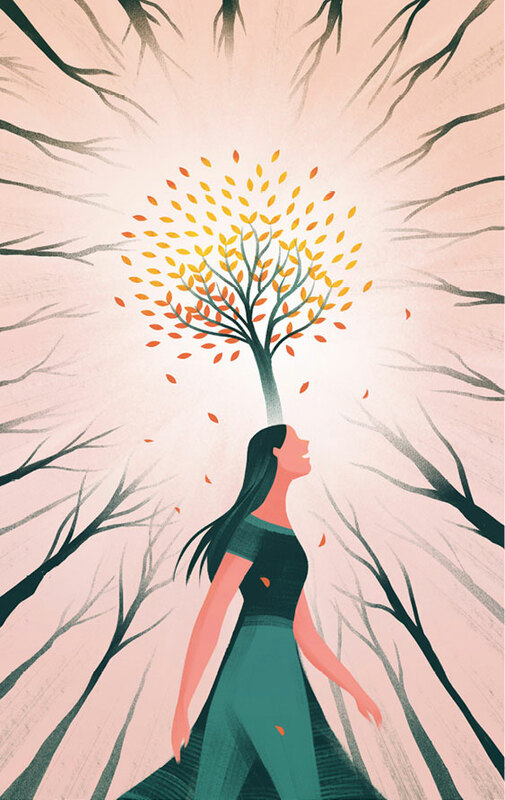 As a young medical student at the University of Virginia, she had a number of experiences that made it more difficult for her to pursue a career as a doctor, such as when an attending physician asked her why she was wasting her best childbearing years going to medical school and seeing fields such as neurosurgery—which she found interesting—completely dominated by men. She felt she had to overcompensate to succeed. Shipman says one of the most surprising discoveries she came across in her research was that young women today still lack confidence despite progress that has been made in equal rights for women over the past few decades. She says a solution for this might require taking the emphasis away from teaching young girls to be perfect academically and instead teaching them about the benefits of failure and risk-taking. The good news? It’s possible to increase your confidence. The easiest way is to get out of your head and make a move. Maksimow first launched her private practice in 2014. She rented an office one afternoon a week and had just a handful of regular clients. Now she holds around 15-18 sessions each week, has her own office, and published a book titled Lose That Mommy Guilt. You can begin combating that today, she says. Start by being compassionate with yourself.